We woke to some good news today. 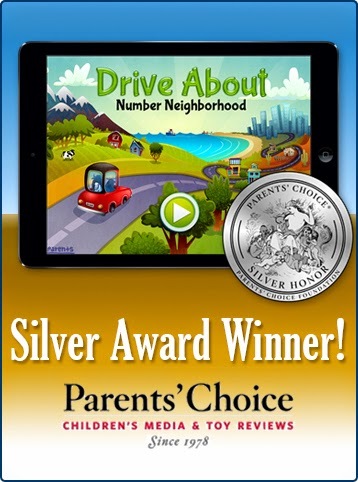 Drive About: Number Neighborhood is a Parents' Choice Silver Award Winner in the 2014 Fall Mobile Apps category. It sounds like they really like the sea pickles. Established in 1978, Parents’ Choice Foundation is the nation’s oldest nonprofit consumer guide to quality children’s media. As a Parents’ Choice Award® winner, you’re a member of a very select group. Fewer than 25% of the products submitted receive any level of commendation. It’s an honor that doesn’t come easily; you should be very proud of your achievement.